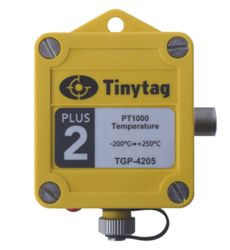 The TGP-4205 data logger works across a wide temperature range using a PT1000 probe to monitor from -200 to +250°C, making it a versatile solution for diverse applications. 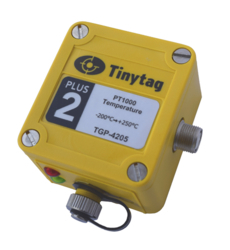 It is used as a general purpose laboratory data logger, to validate the temperature of equipment and processes. Typical applications include: cryogenics, fridge, freezer, cold store and incubator monitoring. This logger requires Tinytag Explorer software and a USB cable (CAB-0007-USB). To wire your own probe/sensor to this logger you can get the 5-Pin Plug (ACS-9703).